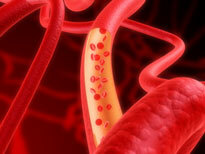 Low cholesterol problems are something most people are not aware of. Risks of low cholesterol can be very serious and so the causes of low cholesterol especially low HDL, should be made known and avoided. Check out "The Great Cholesterol Myth" by Dr. Stephen Sinatra! Low Cholesterol is a Problem? Yes! 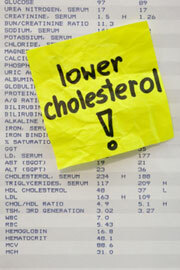 Believe it or not, your cholesterol level CAN be too low. Cholesterol that is too far below the normal range is linked with some very serious health risks. With all the emphasis on high cholesterol, this is a problem that is just not paid attention to. The pharmaceutical industry has made lowering cholesterol levels synonymous with health and avoiding heart disease. This is a gross oversimplification and can actually do you serious harm if you don’t understand the risks of low cholesterol. The emphasis on low cholesterol as a goal of lifestyle changes and prescription drug usage is primarily a marketing gimmick designed to sell more statin drugs. Once you learn about the role of fats in your body and brain, you will understand why. What is normal cholesterol? Normal healthy cholesterol levels are generally recognized as falling between 180 mg/dl and 200 mg/dl. These numbers correspond to “total” cholesterol. HDL levels should be 60 mg/dl or higher. The role of fatty acids in your body and brain is critically important in aging and health. It is a question of getting the right “balance,” not about how low you can get cholesterol or any other fatty acid in the body. Remember also that HDL is a potent antioxidant, and as such is also a measure of your total antioxidant status! When your total cholesterol level is below the normal range, your fatty acid balance has been disrupted. Low cholesterol problems can occur when your body and brain can’t properly perform critical functions without the right amount and balance of fatty acids. The causes of low cholesterol can be quite serious, and if you are totally focused on low cholesterol as being a positive thing, you may not be aware that lower cholesterol levels could be a warning of serious health problems. Since cholesterol is natural to the body and is used in so many metabolic processes and reactions, a healthy level is absolutely essential. Low cholesterol problems can involve some serious, even life threatening diseases. Ok, so we know about low cholesterol problems. Now what? The focus needs to shift from just lowering cholesterol, to identifying the causes of heart disease and finding a healthy balance of fatty acids. These three tests will tell you more about your risk of heart disease than cholesterol levels, because they touch upon the real causes of cardiovascular disease, and you can take steps to effectively deal with those problems. Hopefully this page about low cholesterol problems will cause you to re-think the entire cholesterol/heart disease paradigm and look beyond simply trying to lower cholesterol.